December can be an unusual month for businesses. Many departments’ focus has shifted to the coming year, budgets are being finalised, sales are closing deals rather than seeking out new opportunities and there can be an air of winding-down as Christmas approaches. But one department that certainly won’t be easing off is HR. There is no let-up in demand for managers’ time and skills. With seasonal headaches vying with festive calamities for attention, what should the prudent HR manager get ready for this Christmas? The end of any year is a natural time for reflection. Employees and management can be keen to formally assess the previous 12 months and set goals for the coming year. Equally, they can slip off the agenda if one or other party isn’t motivated to do the appraisal. Not holding them regularly can be disengaging for all concerned, so HR should drive the process, ensure meetings happen and development plans are produced. If you encounter resistance, it’s important to stress appraisals are a chance to discuss both corporate and individual goals and performance and that setting objectives can build strong teams and accelerate personal development. The flip side of appraisals is the salary review, and the end of the year – especially considering the cost of Christmas – can be a natural time for staff to approach employers for a raise. With the economy seemingly stable but prices still rising faster than wages, HR should expect to deal with calls for improved remuneration. A useful preparation can be to conduct wage surveys to collect data on salaries and market information to help decide pay and bonus rates. Compiling a list of average salaries, salary budget averages, inflation indices, cost of living indicators and benefit packages for particular roles in relevant locations in your industry will give you a benchmark to set a salary range. Combined with company policy on pay rises this will give you somewhere to go in negotiations. Having a toolkit of non-financial rewards – training, flexible arrangements, better equipment, etc – can also be useful if you are going to have to disappoint people. Managers should be reminded not to discuss salary reviews at the Christmas party, which brings us to perhaps HR’s biggest festive headache. 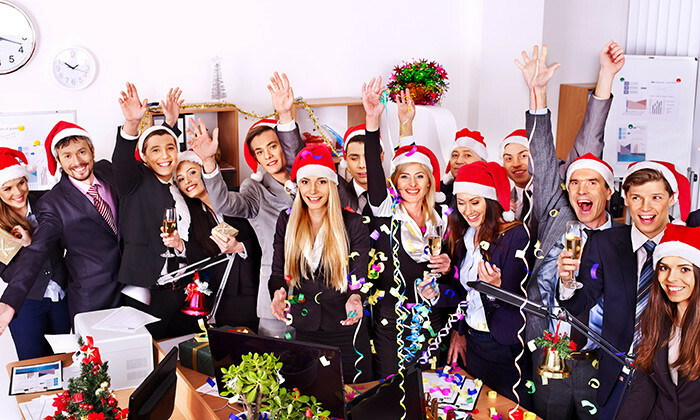 The presence of alcohol, and parties often being held off premise, can give people the impression that festive celebrations stand apart from the workplace and aren’t subject to the same rules. Judges have consistently disagreed when asked to rule on cases of unfair dismissal involving physical assaults at or after Christmas parties. Reminding staff that the party is a work event and subject to company rules beforehand is advisable, as is asking them to drink responsibility. Coaching managers in how to deal with inappropriate behaviour at the event could help to nip any problems in the bud. Should anything happen, deal with it as soon as possible after the event making reference to the advice given before the party to act respectfully. Photos from the Christmas party that are uploaded on to social networks can cause difficulties for employers. The ease and speed with which they can find an audience have meant organisations need to consider how to respond to photos which could generate negative publicity about the company or lead to tensions between staff. Having a published digital usage policy that extends to work events is important, as is communicating to staff they need to respect their colleagues’ privacy. It might be worth appointing or contracting somebody to take photos at the event. This article is contributed by Ho Chee Tiong, regional sales director, UNIT4. Claims that HR at tech giant allegedly overlooked or ignored complaints..